“Come and see” Christ’s goodness. “Come and see” Christ’s sacrifice. “Come and see” Christ’s suffering. “Come and see” good overcome evil. “Come and see” the kingdom of heaven. “Come and see” the angels of God ascending and descending upon the son of man”. These are only some of the blessings if we follow that simple invitation: “come and see”. Yesterday we completed the first week of the fast. We also celebrated the Sunday of Orthodoxy when icons were finally embedded in our faith in 787CE. We venerate their images out of love of the archetype, that is, the person depicted. These hosts of saints heard the invitation to “come and see”. These choirs of saints heard the call: “follow me”. They did and put to one side “mocking and scourging, and even chains and imprisonments. 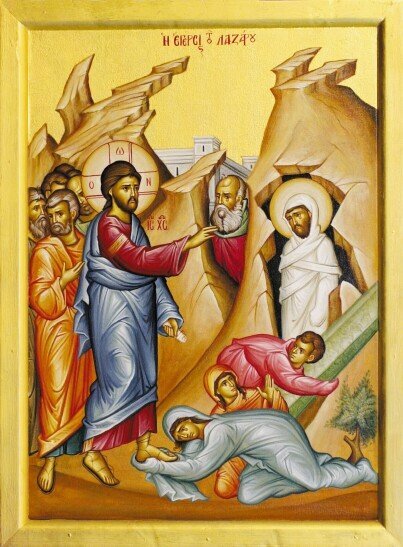 They were stoned, they were sawn in two, they were killed with the sword; they went about in skins of sheep and goats, destitute, afflicted, ill treated – of whom the world was not worthy – wondering over deserts and mountains, and in dens and caves of the earth.” (Hebrews 11:37 – 38). I just wonder how many of us would heed the call to follow after responding to the call to “come and see”? Adult education class continues (Tuesday, 19 March) topic: “How Did Christ to Read the Old Testament?” From 6:45 PM – please bring your Bible. Next Sunday we will be hosting the Commemoration of the Greek National Day in the presence of the Consul of Greece. After church, we will be attending the service at the Cenotaph, Kings Park. As a result there are no refreshments this Sunday. If you do not have the ears to hear then how can you hear? And if you do have the ears to hear but do not act; then what is the point of the hearing? P.S Next Sunday evening we are all invited to attend Vespers at the church of the Annunciation and on the following day, 25 March, to attend the feast day of that church. Please attend.